Another exciting set of games were played out last weekend with some unexpected results. Despite many predicting that Mini is likely to advance from Group C alongside Bisu, he lost both his games, one to Light of all people while Rain was eliminated at the hands of sSak and hero in Group D. Surprising results and upsets all around! In the meantime, read our group C and D recaps by BigFan and EsportsJohn while Bisudagger and BLinD-RawR preview groups E and F respectively. Let's get ready for more BW action! Considering that Bisu has been going on a tear in his sponmatches lately, averaging 80%+ in his PvP, it's not really surprising that he managed to best both Mini and Jaehoon. In his game against Mini on Camelot, he was aggressive early on and used this to establish an earlier expansion. 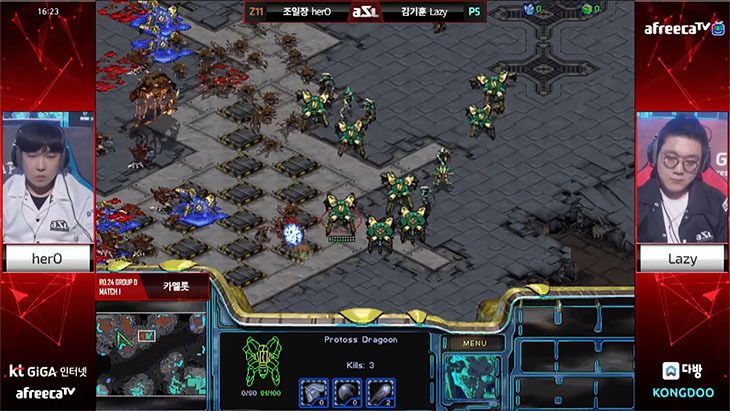 He was able to ride the economical advantage and with great reaver defense and army engagements, he handed Mini his first loss of group C.
In his next game in the winners' match against Jaehoon on Circuit Breaker, he found himself in a bad situation and went on the defensive after he failed his engagement at Jaehoon's expansion. 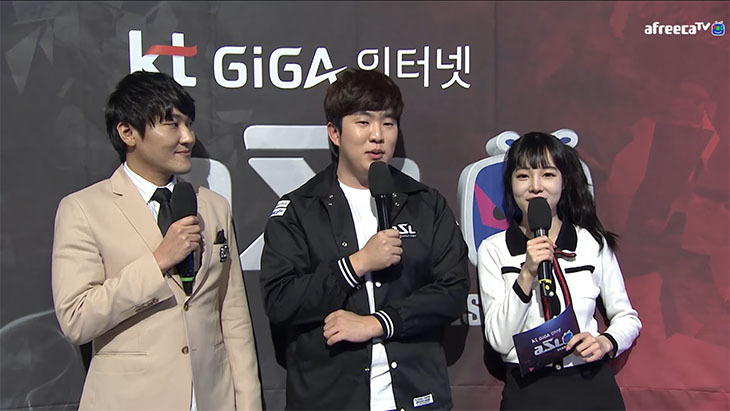 With Jaehoon out looking for blood, Bisu microed well in the next battle and counter-attacked after seizing the game's momentum. With a stronger army, he broke through Jaehoon's defenses to take the game and advance in first place! As always, it's hard to predict how an enigma will play. After defeating Light with a proxy gate strategy on Camelot, Jaehoon was knocked down to the final match by Bisu where he got to meet Light once again. This time, their match was on Outsider. Early on, Light looked like he had the advantage with his harass-oriented style that saw Jaehoon on the backfoot. However, Jaehoon persevered and slowly stabilized, grabbing more bases and defending with the most imba units in his arsenal: dark templars, high templars for storm and carriers. Eventually, he took the game and eliminated Light after he used the map architecture to his advantage. Using his carriers, he target fired and brought down several command centers within minutes and subsequently, made it difficult for Light to grab and hold onto another expansion. Being placed in a group with only protosses and having to play your worst matchup is already painful. However, much like in the previous ASL, Light made quite the decent showing after he got knocked down to the losers' match by Jaehoon's proxy gate strategy. There, he met Mini on Circuit Breaker. Seeing a chance early on, Light built a bunker at Mini's expansion and took down his nexus while he established his own expansion. From there, the game played out in classic Light TvP fashion. Partway through the game, Mini transitioned into carriers and Light found himself on the defensive. An un-scouted corner expansion helped him survive and make enough units to push back. Watch this game! As someone who has a winning record against Flash in March and was described as being annoying to play against, many figured that Mini would at least have the victory against Light if the two were to meet. Alas, Light made sure that wouldn't been the case. Much to the dismay of his fans, Mini was eliminated by Light and was unable to proceed the results that were desired. 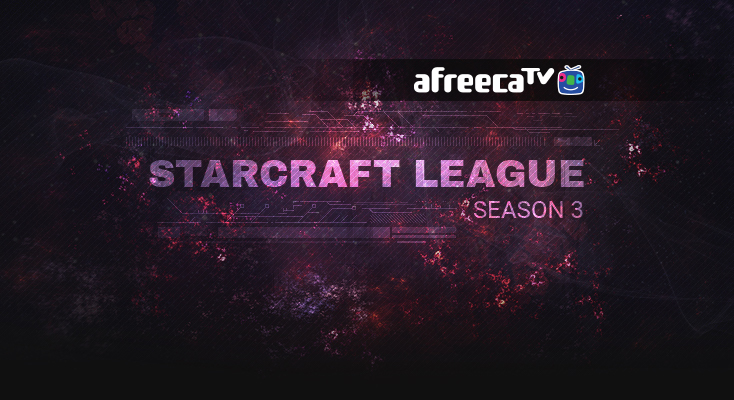 Despite a dip in performance during ASL Season 2, herO was the strong favorite against Lazy. Lazy took complete control of the early game though with a clever zealot legs into double stargate corsair build, completely shutting down muta play and sniping almost a dozen overlords. While it wasn’t enough to break herO’s third base, it slowed down his macro considerably and gave Lazy some breathing room. With the advantage in his favor, Lazy took a great engagement at his fourth and began marching across the map with a gigantic gateway army. Unfortunately, a major flub in control split his zealots away from the main army and exposed his dragoons to a swarm of cracklings, and just like that, Lazy’s advantage evaporated. herO’s risky double expand earlier in the game paid off and allowed him to pump nonstop units from five bases and batter Lazy’s follow-up push. From there, it was all downhill for the Protoss player as he slowly dropped to herO’s superior macro. sSak ended up being the biggest surprise of the night, going 2-0 in his group. Like herO, Rain was the heavy favorite with an impressive 71% win rate in PvT, but it was going to be a hard sell against the power of the mech army on Camelot. The early game happened without much incident with the only surprise coming from Rain’s hidden third base in the bottom left corner, but the greed from Rain was real; after taking a fourth and fifth base, he began teching to carriers while trading off his zealots. When sSak came knocking on the front door, Rain had neither the critical mass of carriers to fend off the attack nor the gateway units to slow it down and came to a quick and anticlimactic ending. This was not the matchup we were expecting to see, but it turned out to be an...interesting one. sSak opened with a unique 1-1-1 build with an early wraith to harass overlords and force out hydras. Back at home, he teched up quickly to science vessels and siege tanks while getting his economy off the ground. Unfortunately for herO, he reacted poorly with an odd hydra push with overlord speed and delayed his third only to greeted by siege tanks and a bunker. Way behind in tech and economy, herO began looking for some kind of opportunity to crush sSak’s push. In another rather anticlimactic ending, herO ran eight lurkers into sSak’s natural for a counterattack while leaving his natural exposed. Science vessels and tanks cleaned up the lurkers easily, and sSak’s bio force walked into herO’s main against a measly force of a few stray zerglings to take the series and advance out of the group 2-0. There he is, the man who drinks beer and streams with the ladies—obviously the key to victory. In a macro game, Rain wins hand down, so Lazy went for the second option: proxy 2-gate. 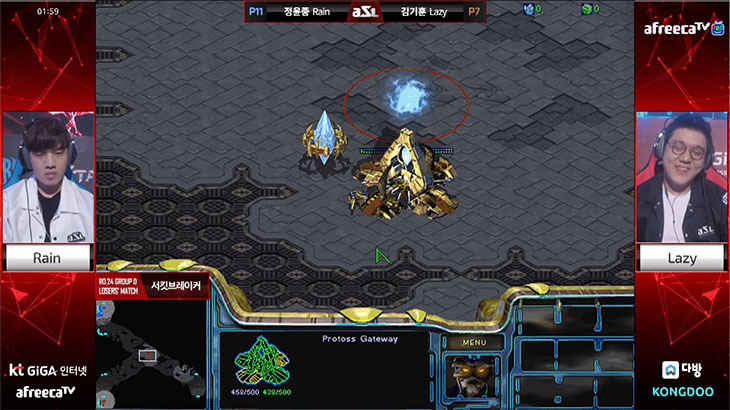 Rain’s unbelievable star sense allowed him to quickly scout out the middle map proxy and get two gateways and a shield battery up in time to deal with the push. In a desperation attempt, Lazy built a shield battery of his own inside Rain’s main while microing his zealots. For a moment, it looked as if Lazy might actually overpower Rain after forcing his opponent’s zealots out of the main and away from the shield battery. However, at that point, the observer cut to Lazy’s main where one of Rain’s zealots had snuck out and was terrorizing the probe line! With a probe pull, Rain easily dispatched the remaining zealots in his base and moved on to the most highly anticipated match of the night against herO. Where to even begin on this one? We finally got the match we wanted to see, but the map made things a bit more complicated. While macro games are common on Outsider, they are usually punctuated by air control, tons of drops, and abuses of the mineral line walls the line the edges of the map—and this game was no different. Rain opened with a very strange 1-base corsair build with only two corsairs to gain air control but was easily deflected by herO. 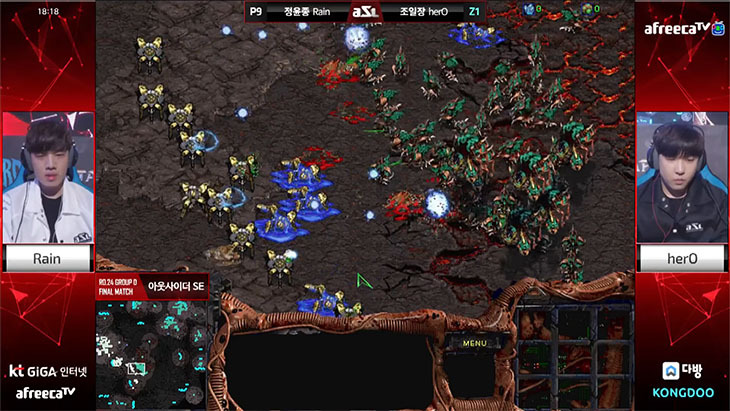 The zerg player quickly began to abuse the map with hydras behind Rain’s mineral line and lurker drops all over the map. Rain’s weak attempts at drops were shut down as herO began the switch into mutas to abuse Rain’s lack of air control. Outgunned in the skies and on the ground, Rain quickly began dropping to the pressure of herO’s map-wide presence. Relegated to only two mining bases, he held on for as long as he could without storms or reavers, but the Zerg swarm eventually overran his pure gateway army to win the game. Holy Protoss Batman! There have been several eras where Zerg players would salivate at a group like this. Stork is coming off a month on Fish with mediocre PvZ results, Pusan is considered quite weak these days, and GuemChi is running just slightly above the pack. Despite the low representation of PvZ talent, this will not be a cakewalk for recently returned ggaemo. Let’s break it down. Set 1 features GuemChi vs ggaemo on Camelot. This is GuemChi’s group to lose. He’s coming of a large ATB Grand Finals win and has had great results in 2016 ASLs. Add in that Camelot is a protoss favored map and this game is a lock for him. No doubt he will win, but this will be the viewers first real opportunity to see how GGaemo will carry in live matches. Set 2 is an exhibition of old vs older. Pusan being the most veteran actually has the most PvP experience in the post-Kespa era. Over 62 tournament PvPs and Pusan comes out with a 43.55% win rate. To be honest, Pusan has 4 wins out of his previous 10 games, but those four wins were versus Rock so he’s practically 0-10. Meanwhile, Stork has been exhibiting growing skill and is well known for solid PvP over his career. The choice is obvious here, Pusan is clearly weaker and will lose Game 2. Winners Match will be another PvP of Guemchi vs Stork. At this point, Guemchi has the edge. He has played several games against PvP monster Bisu (88% winrate) and has come closer than anyone to actually beating him. Stork may try to use Circuit Breaker to his advantage and go for a greedy build, but it won’t pay off. Guemchi is just too strong for this group and will advance in first. Loser Match is a race to the bottom. Pusan is lacking 2 years of tournament experience, making his last visit in 2015. GGaemo is in an even longer drought with no tournaments played in the post-Kespa era. Circuit Breaker is such a strong map for 2-base protoss (see Movie). Pusan may not be capable of spectacular late game play, but a well crafted 2-base zealot/archon all in puts him in the perfect position to succeed. Ggaemo must prepare his “oh-face” for this one! Loser’s Final will be a re-feature of Stork vs Pusan. The map is on Outsider, which makes this an even scarier map for Pusan to face Stork on. Stork has renowned reaver control and this map is begging for it. No matter which way you expand, scouting the shuttle in time will determine Pusan’s future. Unfortunately, his older age and rusty skill don’t bode well for a reactionary playstyle and Stork will be seeing himself safely into the next round with this final victory. GuemChi and Stork to advance to the Ro16! In our final Group of the Ro24 we have Last, HyuN, Larva and Movie. In this group, Last is going to easily take first place while HyuN, Larva and Movie will fight for second place. Last is still going strong in the Afreeca Sponmatch scene after his group of death loss (to Bisu and hero) in the previous season, consistently making Top 5 except in the month of March where he had to cut back on playing due to a case of the Mumps. That said, he was still in the Top 10 with an overall 61.3% winrate among all matchups and unless there's a specific strat against him, it looks like he's going to breeze through the Ro24 just fine. It just goes to show that AlphaGo rests for nothing and no one. Movie had his ASL2 road ended by the eventual champ and runner up (Flash and Sea respectively) in the Ro16. Since then, he had only one showing in the HoSic BJ Starleague where he only had to play against terrans, his statistically worst matchup at the moment. On his stream, he has been showing some pretty good PvZ and there are two zergs in the group with him. However, it’ll be interesting to see how Movie is going to handle Outsider with PvZ being a pain for protoss players to play on that map. Larva is going to have a hard time with this group, with only one protoss in Movie who is already going to be a tough battle. He is going to need some amazing plays if he is to overcome Last in a matchup that is not only hard for zerg at the moment but Larva’s worst matchup which leaves a ZvZ with HyuN and banking on ZvZ is always going to a bad bet. This is Hyun’s first ASL. Infact, this is his first tournament since retiring from SC2 where he had a successful career overseas and was quite the fan favorite too. I expect many foreign fans to come cheer for him in his matches, but as far as his BW career goes, he was an A-Teamer on MBC Game Hero but was below average in all matchups. It’ll be interesting to see if the confidence boost of being successful in SC2 transitions well in BW but I don’t see him getting past any of his opponents at the moment due to being so untested. Last and Movie to advance to the Ro16! I remember watching that ggaemo reaction live :0 . I'm rooting for everyone, I want to see awesome games! Man it was such a waste to see 4 reavers underperforming in that battle. Mini wasn't quite prepared for the battle both of them knew were coming. I hope ggaemo will surprise everyone. He played and practiced A LOT since he has started streaming, he for sure deserves to advance from this group and I am rooting for him. But we will see, it is Stork and Guemchi so it is hard to predict any results. 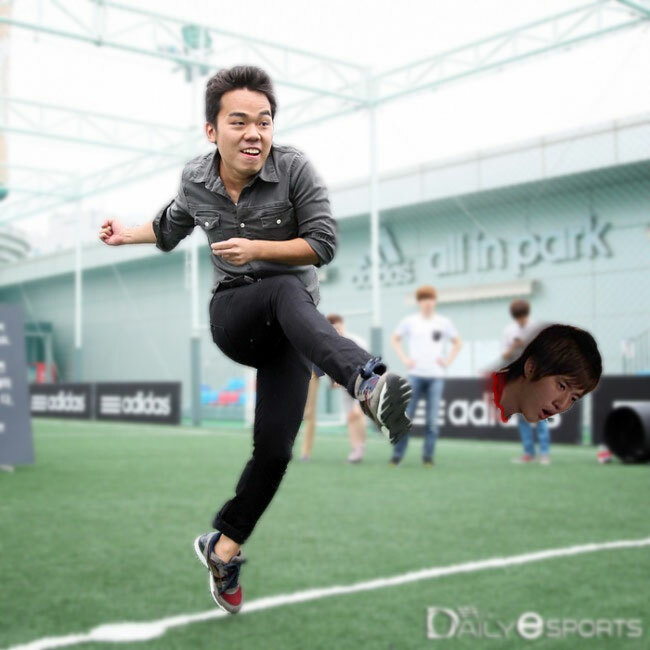 If ggaemo makes it to game 5, the power of Outsider will probably save him. Guemchi will qualify first easy! Stork second. To be honest, Pusan has 4 wins out of his previous 10 games, but those four wins were versus Rock so he’s practically 0-10. I hope he can do it. He is working hard, he deserves it. Never forget. Bisu got slaughtered 0-3 against Sea. Decoy Bisu, real Bisu is in the back.